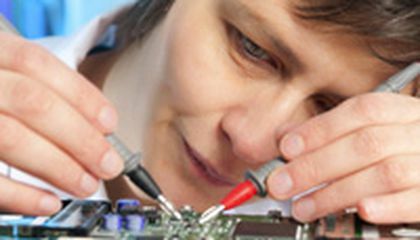 Why arent there more female engineers? In U.S. universities, just 12 percent of engineering professors are women. Only 11 percent of engineers are female. Yet women receive 20 percent of the engineering degrees awarded yearly. The Washington post reported this percentage. Researchers have long wondered about this divide. Is it because women are more likely to become full-time parents? Are women less aggressive in going after opportunities? Neither explains the problem. Why do women seem to leave engineering careers? Mainly because of a chilly workplace environment. In a new study, researchers surveyed more than 5,000 female graduates. These women earned engineering degrees over the past 60 years. The Post reports that forty percent had either left engineering or never worked as engineers. Women most frequently said they left because of "uncivil workplace climates." Examples included "the expectation to put in long hours of face time in the office." Another was "the perception that there was little opportunity to advance." The Post reported that supervisor support was often lacking. Women also complained that male coworkers often talked down to them. Men gossiped about women. Many jobs did not provide for workers with families. Women had to choose between careers and families. Other women disliked being the only female employee in their workplace. Research shows that mentoring is important. Researchers interviewed successful women who stuck with engineering. They often said they began their careers with supportive supervisors. What will close the gender divide in engineering? Researchers told the Post it requires top down changes. They must be system-wide. One researcher said leaders must acknowledge that "this is not a womans issue.'" It's "about creating a good work environment." Critical thinking challenge: How did researchers answer this question: Why aren't there more female engineers? Is it a bird? A snowboarder? No, it's a drone.